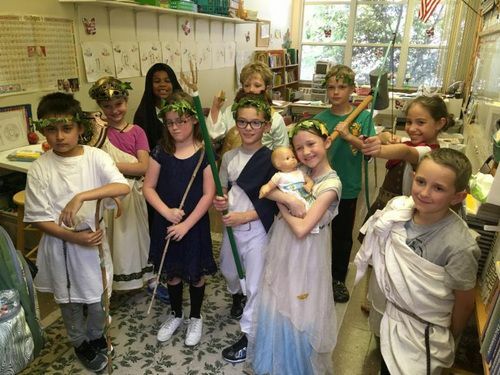 St. John Paul II Preparatory School - What is classical education? At JPII we are proud to offer our students a classical education, based on centuries of Western tradition. As Catholics, we want to live our faith authentically in the world, but we cannot live it unless we understand our faith and the world, and to understand we must immerse ourselves in the substance of both. Because we seek this substance - this deep contextual knowledge - we use a Catholic classical curriculum. Catholic classical education is the framework for the content of our program. We focus on understanding core facts and concepts, learning fundamental skills, and living an authentic Christian life. We do this in part by exploring the lives and societies of history's holy, wise, and influential men and women. This context provides students the tools they need to understand the Gospels, the saints, the writings of the Church, philosophy, literature, politics, the process of discovery in science, the use of imagination and logic in problem-solving, and ultimately how to be tomorrow's clear communicators, wise decision-makers, and holy saints who promote and defend the faith of Jesus Christ. 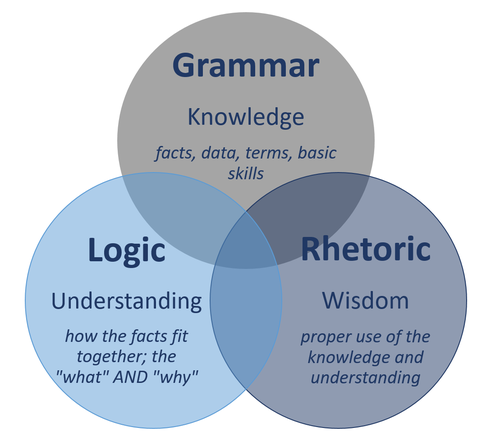 At the core of classical education is the trivium: grammar, logic, and rhetoric. An article from Biola University defines the three steps of the trivium this way: "To teach students to (a) memorize the basic facts, (b) learn how the facts fit together to form a coherent whole, and (c) to learn how to present the facts in a winsome and convincing way." 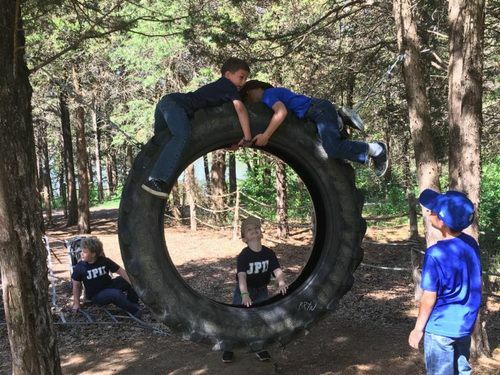 The three stages of the trivium naturally follow stages of a student's development, from a child's love of and ease with memorization through a teenager's ceaseless questioning to a young adult's desire to define themselves and their world. Through the course of their classical education, a student will immerse themselves in the Great Books, in the history of the Christian West, and in the thoughts of some of the greatest minds this world has known.